The group mixed up their tickets and Grassley’s invitation indicated that the group was also paying for Grassley’s wife to travel and attend the seminar. Grassley’s wife, Barbara, is a lobbyist." 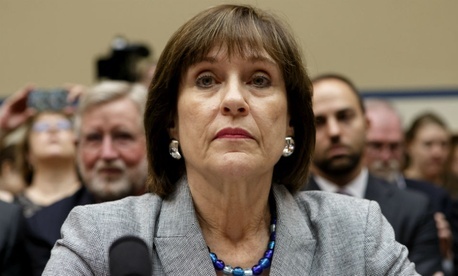 At every turn, Lerner was using the IRS as a tool for political purposes in defiance of taxpayer rights. We may never know the full extent of the abuse since the IRS conveniently lost two years of Lerner emails, not to mention those of other key figures in this scandal." The development also unleashed a torrent of internet scorn against Lerner. And some sarcasm from the Washington Free Beacon, which has been all over the loss of the emails, that the IRS blames on a computer crash. We'll be hearing more about this in coming days, you can bet on that.